Eastern philosophies of health, wellness, spirituality, and relaxation have captivated us here in the East, whether it’s a Yoga class, a hot bamboo massage or a gentle realigning of the chakras. If your vacation plans include a trip to Asia, here are four ways you can get that authentic Eastern instruction to a healther and more relaxed mind, body and soul. Six Senses Hotels Resorts Spas recently launched new Yogic Programs that range from a basic yoga program (Discover Yoga), detox yoga (Yogic Detox) and sleep yoga (Yogic Sleep, launching later this year) that are good for novices and well-seasoned Yogis. Each of Six Senses’ seven locations will have individual touches such as local treatments and cuisine including Six Senses Zighy Bay, Six Senses Laamu, Six Senses Ninh Van Bay, Six Senses Con Dao, Six Senses Yao Noi and Six Senses Samui as well as partner Six Senses spas at Soneva Kiri in Thailand, Soneva Fushi in the Maldives, Porto Elounda Golf & Spa Resort in Greece, Penha Longa Resort in Portugal, Puntacana Resort & Club in the Dominican Republic, Jaypee Greens Golf Resort & Spa in India, Sharq Village & Spa in Qatar, Missoni Hotel in Kuwait and the Pacific City Club in Bangkok. Discover Yoga and Yogic Detox are now available. In the third quarter of 2014, Yogic Sleep will be incorporated into the Six Senses Spa Yogic Program series. 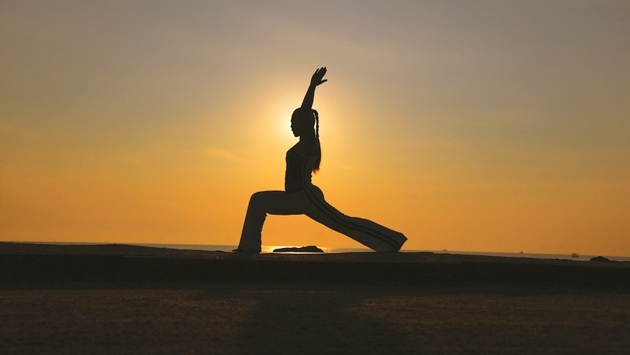 Discover Yoga is ideal for novices wishing to try a new form of body and mind exercise. The main goal is to develop an understanding of how the body engages in each posture while the yoga master guides one’s awareness to specific areas and aspects of the practice. Stress release, improved flexibility plus a stronger and more powerful body are additional benefits. Private sessions of guided meditation and breathing exercise will help regulate the pace of breath, relax and maintain the steadiness of the body, leading to a clearer mind and better coordination during yoga practice. A selection of Six Senses signature massages and energy treatments has been included in the program to enhance the results. Yogic Detox is suitable for more experienced yoga practitioners looking to cleanse the body and mind in a non-invasive way. Launching later this year, Yogic Sleep will focus on yoga nidra, an ancient practice intended to induce full-body relaxation and a deep meditative state of consciousness. This, combined with guided meditation, breathing techniques and relaxing spa treatments, leads to improved sleep and a very deep quality of relaxation. The Four Seasons Resort Bali at Sayan has invited Denise Leicester to create a three-day wellness retreat as a natural continuation to a new spa concept, introduced a year ago, which incorporates authentic spiritual traditions, such as chakra balancing, Balinese Ayurvedic practices, the power of nature, yoga and meditation to maintain wellness and peace of mind. Leicester, a British yoga teacher and yogic healer, will oversee the Wellness & Healing Retreat at the resort from May 22 to 25. Four Seasons Resort Bali at Sayan features a Balinese architectural style that merges the traditional and the contemporary. The hotel completed recent renovations to all of its villas, guestrooms and spa. The recent enhancements draw from the island’s natural beauty by using materials sourced from Bali including traditional ikat fabrics, shell, coconut and Balinese handicrafts and colors inspired by nature, such as the dark orange of a sunset and shades of green and brown from the trees. Leicester’s retreat will feature yogic-healing, chakra-balancing, meditation, sound healing and personal immersion, drawing on the healing energy inherent in our own souls as well as the energy and vibrancy from the surrounding environment. The program has a different focus for each day and includes, among other activities, various yoga sessions including yoga Nidra, Jnana, and Nada as well as spa treatments, meditation, morning walks and a purification and blessing ceremony. The Conrad Bali’s Just On Juice is a seven-day fully customizable juice health program targeting results through a highly personalized approach. The program uses yoga, organic cuisine, access to a 25-metre private pool and restorative journeys at the resort's 17-room destination retreat, Jiwa Spa. The juices are central to the program. The juices are locally and organically grown from the Aloe Vera from ROLE Foundation, which increases resistance to anxiety, boosts the immune system and with its strong vitamin B, C and E properties acts as a healing accelerator. Heart "Beet" Juice offers powerful antioxidants through its organic beetroot, organic cucumber and pineapple combination. These specialty juices are available every morning at Suku restaurant, so guests won't miss a chance to detox, purify and energize. They combine well with a morning yoga session at the resort's Water Garden. Thailand’s Soneva Kiri's Six Senses Spa on the island of Koh Kood expanded its service with a trio of treatments that use a holistic healing approach perfectly aligned to its pristine island setting. The treatments try to facilitate an altered state of consciousness and will be tailored to each guest's needs by experts whose primary aim is to deliver highly personalized paths to wellbeing and relaxation. 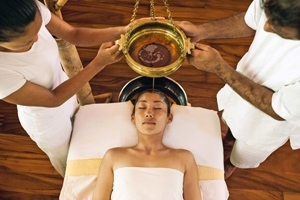 The Ayurvedic Wellness Program consists of organic, calorie-controlled Ayurvedic cuisine as well as Ayurvedic consultations, advice and Ayurvedic spa treatments fused with yoga and meditation. The program runs from five to 21 nights with double occupancy prices starting at $7,591. The Sleep Well & De-stress Program involves organic menus, carefully selected spa treatments plus the opportunity for personalized yoga and meditation sessions. The program runs five to 10 nights with double occupancy prices starting at $7,350. The Weight Loss Programs address every challenge, both physical and emotional, that is presented in the complicated business of weight loss. There are Puriti detox treatments, Yogic intestinal cleanses and reams of simple nutritional information as well as expert consultations from the Six Senses Spa team. The program runs seven to 21 nights with double occupancy prices starting at $11,213. The prices, valid until Oct. 31, are based on double occupancy and include domestic flights to the resort (from Bangkok), three meals a day, no alcohol, and multiple Six Senses Spa treatments.